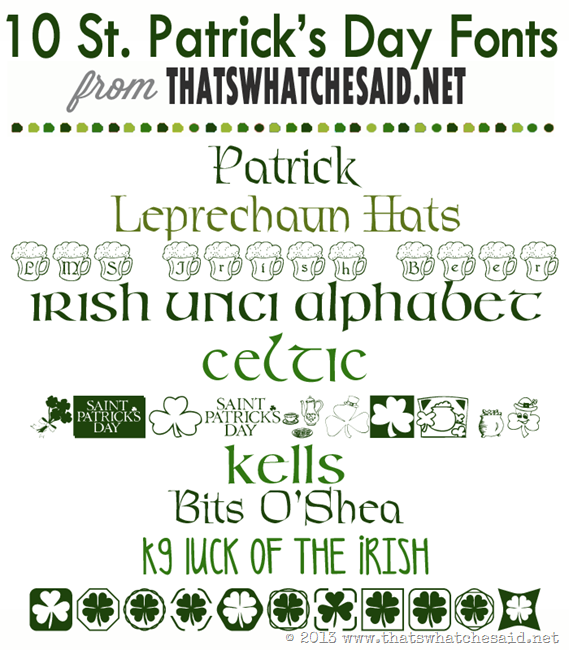 Here are Ten St Patricks Day fonts for creating a stunning invitation. Purrty cool 🙂 Just click the link under the photo and start creating! And for the grown ups, you can always print these cool labels for a snazzy party display! 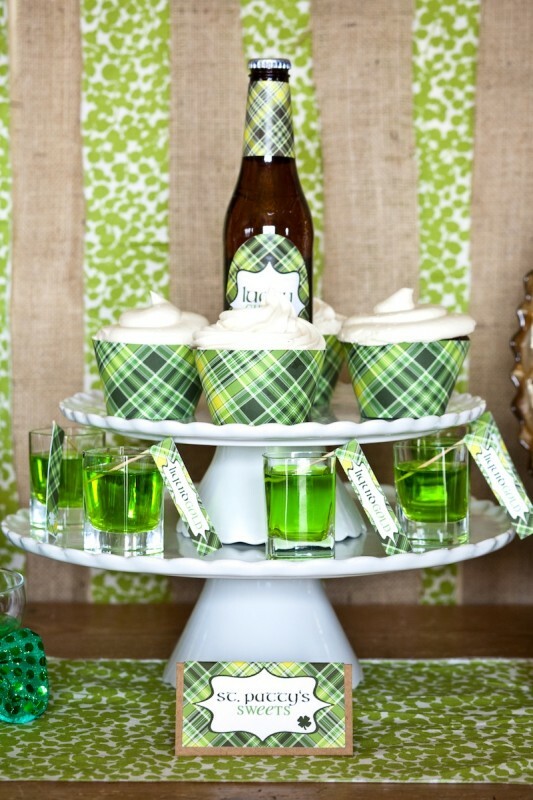 Add some barbeques, chips & dip and you are on your way to Irish party time. 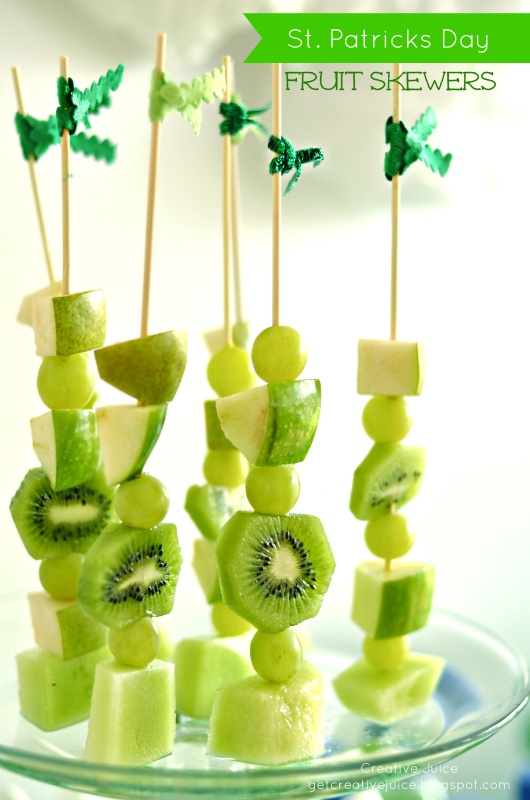 Just in case you have a few in the crowd that are on a health kick, these fruit skewers will save the day! 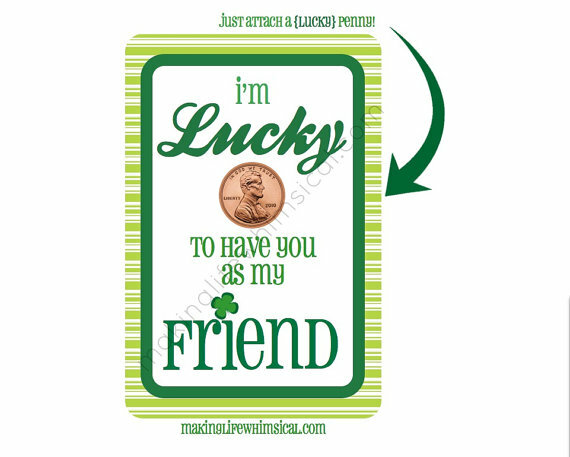 They'll be thanking ya for the luck! This entry was posted on Wednesday, March 13th, 2013 at 4:35 pm	and is filed under Florida Life. You can follow any responses to this entry through the RSS 2.0 feed. You can skip to the end and leave a response. Pinging is currently not allowed. 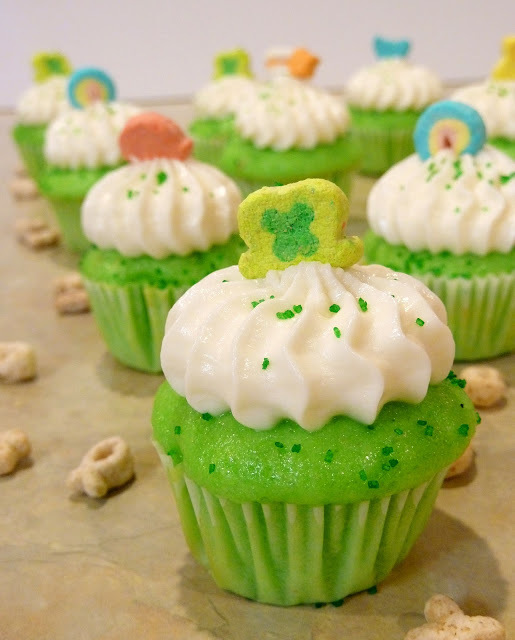 Thank you so much for featuring us on your blog! We loved all the other ideas you shared as well! Great talent deserves a shout out! So many neat items in your Etsy shop too!